Deep geothermal energy is typically stored in granite reservoirs, and natural granite is highly heterogeneous because it is composed of different sizes and shapes of mineral grains. The mechanical properties of granite are significantly affected by its heterogeneity, and this may affect the fracture initiation pressure and fracture propagation direction during deep geothermal hydraulic fracturing. An extremely important aspect in examining rock heterogeneity corresponds to the relationship between its macromechanical properties and spatial arrangement of its mineral grains. 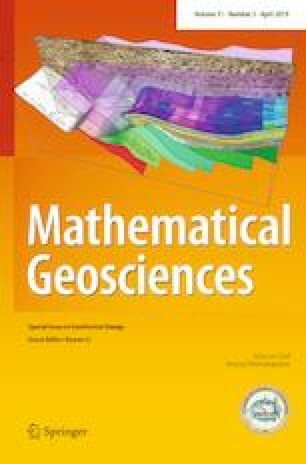 In this study, a flat-joint model (FJM) in a three-dimensional particle flow code is used to examine the effect of heterogeneity [which is associated with the particle size distribution (PSD)] on the macromechanical properties of granite. Macromechanical properties of numerical models are calibrated via laboratory uniaxial compression tests and Brazilian tension tests. The results indicate that the microparameters of the FJM significantly influence rock mechanical properties, and the relationship between the microparameters and macromechanical parameters is affected by PSD. This research was funded by the National Natural Science Foundation of China (no. 41702387), China Postdoctoral Science Foundation (nos. 2017M610507 and 2018T110845), and Open Research Fund Program of Key Laboratory of Deep Geodrilling Technology, Ministry of Land and Resources (no. K201701).